We examine the two main website hosting options so you can decide which is best for you. Whether you're building large-scale ecommerce websites for clients or simply need a home for your design portfolio, choosing the right hosting is essential. These days the most likely choice you'll have to make is between cloud and shared hosting, but what's the difference? We're used to seeing the word 'cloud' stuck in front of practically every technological term out there. And while most of us now have a decent grasp of what 'the cloud' is, the same can't be said for all its potential applications. Cloud hosting, for example, is not simply shared hosting with a cloud badge stuck on. Cloud hosting has certain unique features and advantages that put it in a league of its own when compared to more traditional forms of shared hosting. This article will explore the difference that set it apart. The critical differentiator of cloud hosting services is that they draw computing power from a pool of dynamically allocated resources across a large network of physical components, not a fixed set of hardware. Shared hosting, on the other hand, is a web hosting solution where each customer receives a portion of server hardware to run their website or application. Shared hosting is often the most economical way to get online, because the service provider houses multiple customers on a single web server, resulting in lower costs overall. While shared hosting can be perfect as a cost-effective platform for less demanding projects, it has its limits. With several customers sharing one set of physical hardware, individual users can't rely on a guaranteed level of server performance. 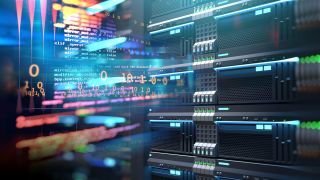 This might not be an issue for sites and applications with minimal requirements or low visitor numbers, but when it comes to running intensive, business-critical processes, many users find that shared hosting isn't quiteup to the job. The reason shared hosting isn't suitable for intensive applications? In a word: contention. The full power of the hardware will always be pulled in several directions at once, with different websites and applications in constant competition for processing power. Imagine one customer on a shared platform gets a sudden spike in traffic. Luckily, other websites on the same server are quiet, so some resources can be allocated to cope with the extra visitors. But what happens when several websites are popular at once? The server only has a finite amount of resources to parcel out, so intensive applications will regularly struggle to get what they need. The end result is inconsistent performance, slow loading times and a shoddy experience for the end-user. If your website is a major source of leads or sales, this presents a serious shortcoming. Even with high contention, shared hosting can still use sophisticated tech to provide decent performance, at least for sites with low or medium requirements. But the fact remains: demanding sites will never get predictable, consistently high performance on anything other than a dedicated platform. One major misconception of cloud hosting is that it doesn't offer any significant performance boost. This couldn't be further from the truth. With cloud hosting, every single resource you configure is dedicated to you alone. Processors, RAM and SSD storage provide guaranteed performance on cloud hosting, exactly the same way they do on complete servers. Like a shared platform, everything can be managed from one central control panel, but with the flexibility to also manage files via SFTP, install and update apps, manage databases and DNS, and manipulate source code. But of course, as mentioned before, the biggest difference is that unlike shared hosting, cloud hosting offers fully dedicated resources that can be scaled on demand for guaranteed performance. A kind of 'dedicated hosting' option for users who want the increased power of their own server, but don't want to deal with server management. Hopefully this exploration of 'cloud hosting vs shared hosting' has cleared up some misconceptions!